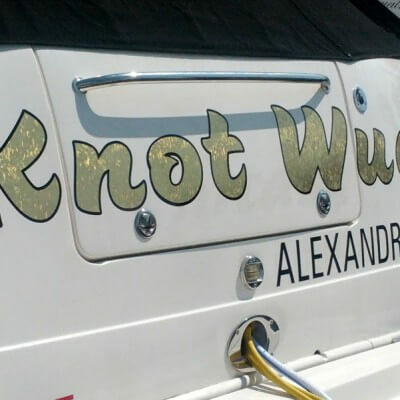 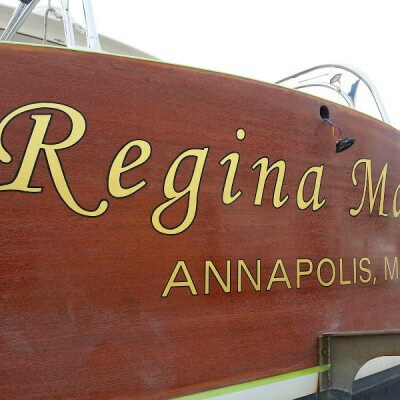 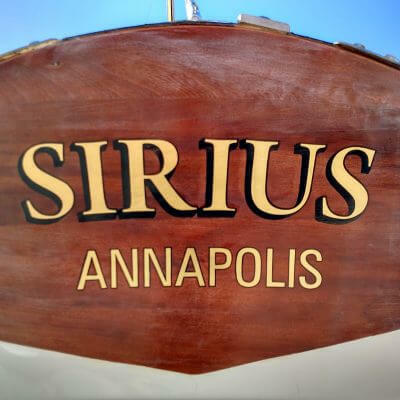 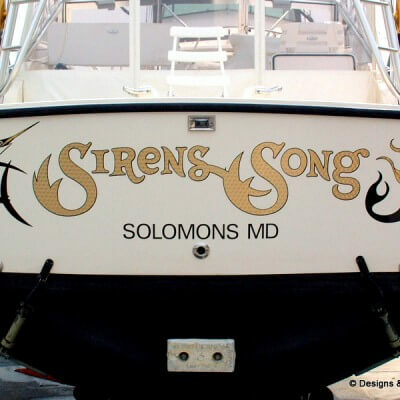 A custom gold leaf boat name installed by Designs & Signs for Burr Yachts Sales in Edgewater, Maryland. 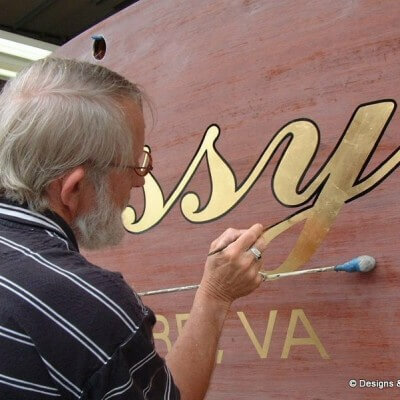 This photo illustrates the installation process. 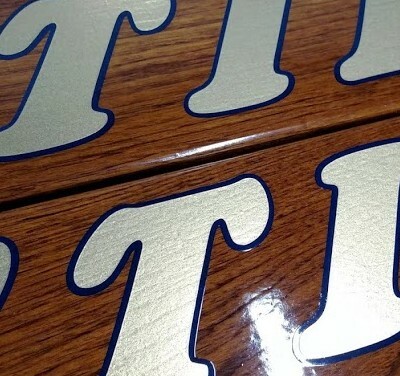 First the outline is installed, this is the outline. 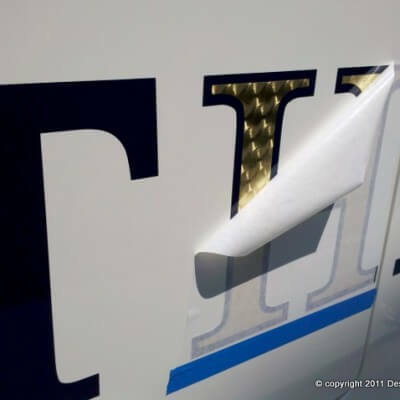 Then the 23 karat engine turn gold leaf is installed. 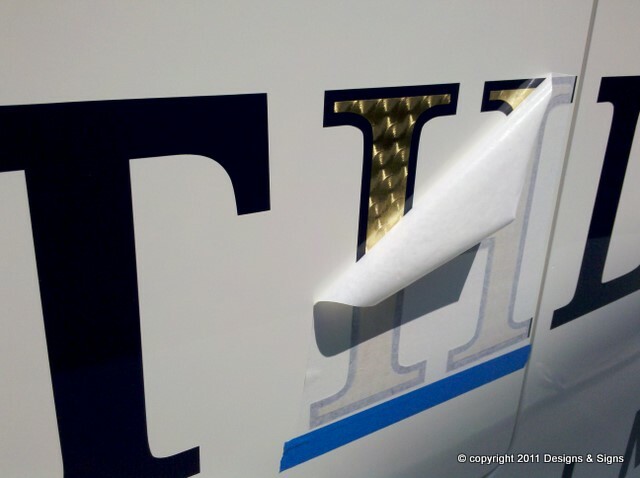 This photo shows the brilliant detailing of the engine turn gold. 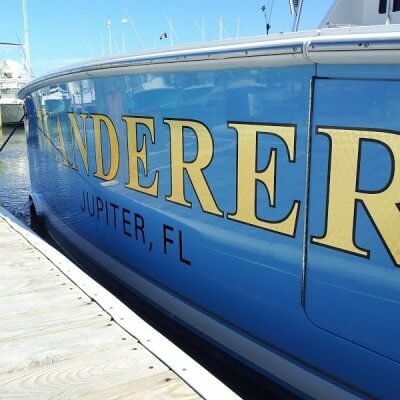 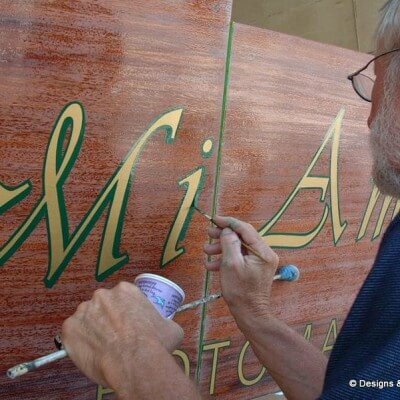 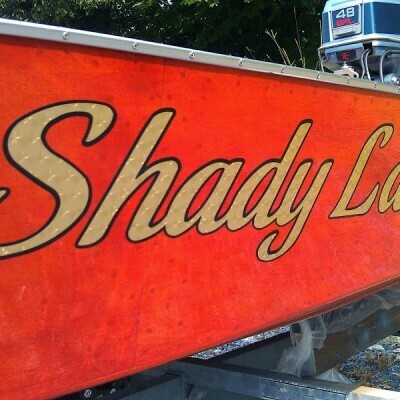 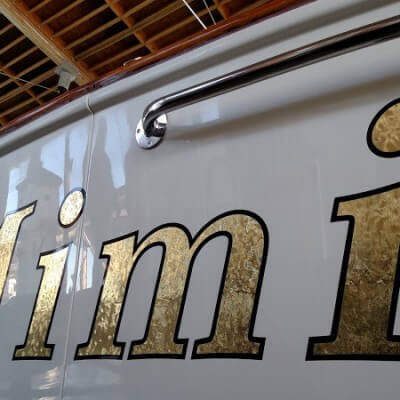 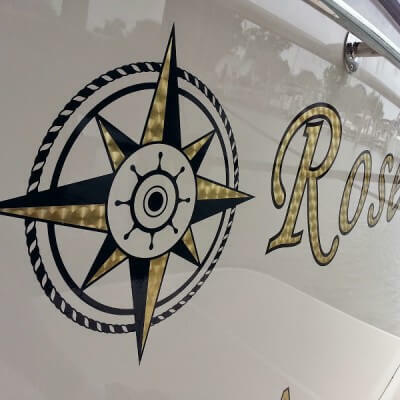 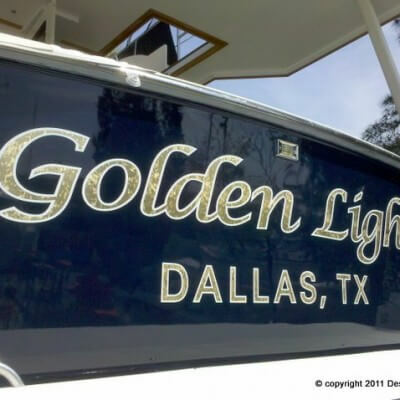 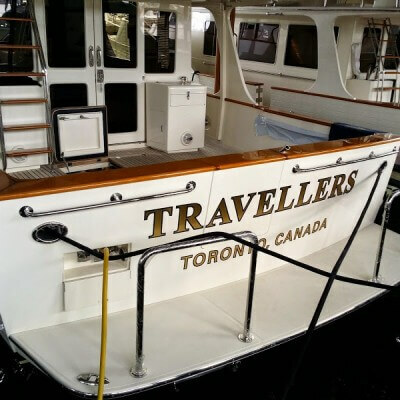 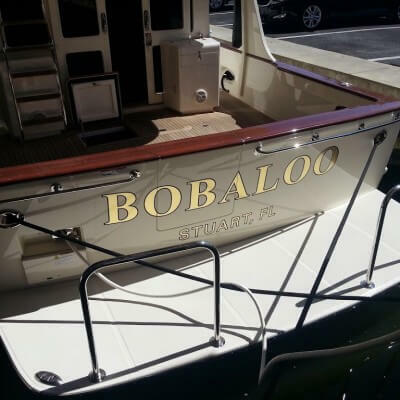 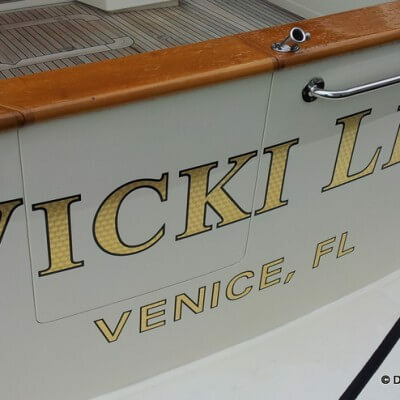 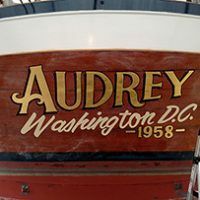 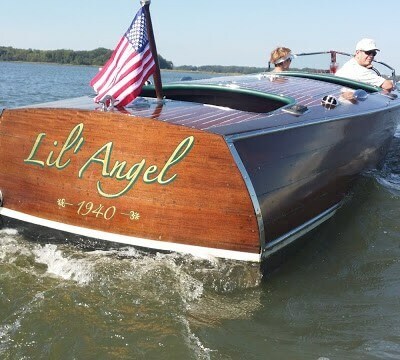 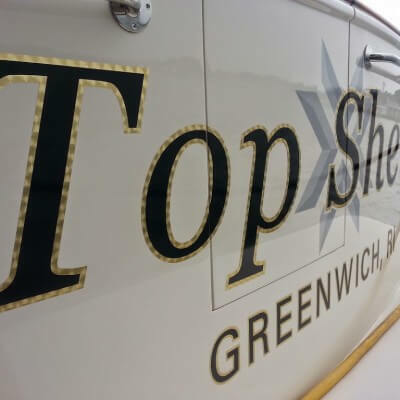 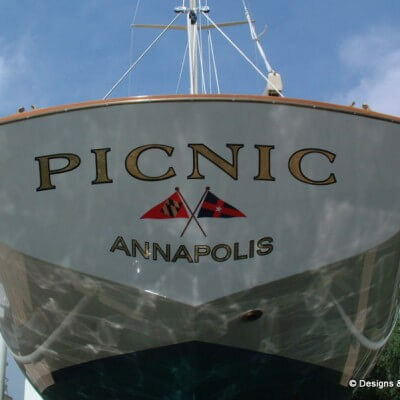 Designs & Signs also offers traditional hand application of gold leaf, which is great for restored wooden boats, but for most modern fiberglass hulls it is more appropriate to use genuine 23 karat gold leaf film. 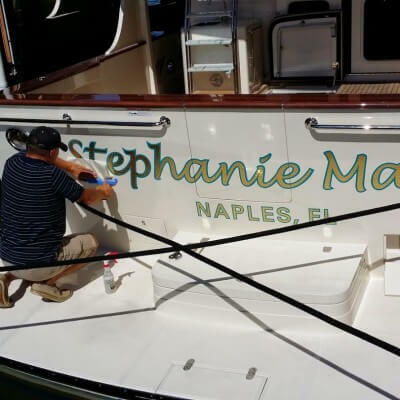 Designs & Signs is proud to letter every Fleming Yacht outfitted by Burr Yacht Sales. 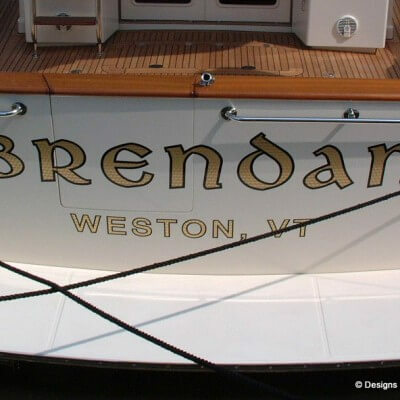 We also made matching custom life rings and hand carved nautical name boards for Kathleen.